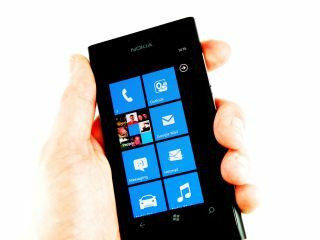 The Nokia Lumia 800 is set to receive two software updates in the coming months that will improve its power efficiency after some users complained of problematic battery life on the handset. Posting on a forum, the Nokia Support team claimed that the problems aren't widespread but that the two updates will both increase efficiency and improve charging. "Early investigations show that most people are enjoying the full Nokia Lumia experience without any problems and we have not been able to identify a single root cause that would lead to erratic battery behaviour at this stage." "A software update in early December will make some improvements to power efficiency, while a second update in early January introduces high voltage charging, increasing the Nokia Lumia 800's battery power from 1300mAh to 1450mAh," it continued. "These are scheduled improvements and will enhance the overall experience, but are not designed to address any issues that may be occurring with individual products." So if you've picked up Nokia's first Windows Phone, keep an eye out for an update soon – although we didn't find battery life to be poor enough to blame on a bug, we weren't overly impressed with the Lumia 800's power management in our Nokia Lumia 800 review. But even so, the handset managed four stars and a host of accolades for web browsing, design and graphics performance – a nice change for a Nokia smartphone, we say. Check it out in all its motion-picture glory in our hands on video below.